Transportation of eggs is difficult as chances of breakage during transportation are higher and it is costly also. Egg powder is comparatively easier to transport and there is no question of any breakage during the transit. Egg powder is one of the most common products in the poultry industry in the country. Powdered eggs are fully dehydrated eggs. They are made in a spray dryer in the same way that powdered milk is made. It is used in fast food preparations, ice-creams, cakes, cookies, noodles, doughnut etc. In fact, it can replace the use of fresh eggs in these food items, which would offer convenience and ease of handling as against shell eggs. Changing food habits have increased egg and egg products consumption in India, leading to an increase in the domestic market for both. This will be further increased in the coming period as the egg is the cheapest source of protein for the masses and its consumption has become common. 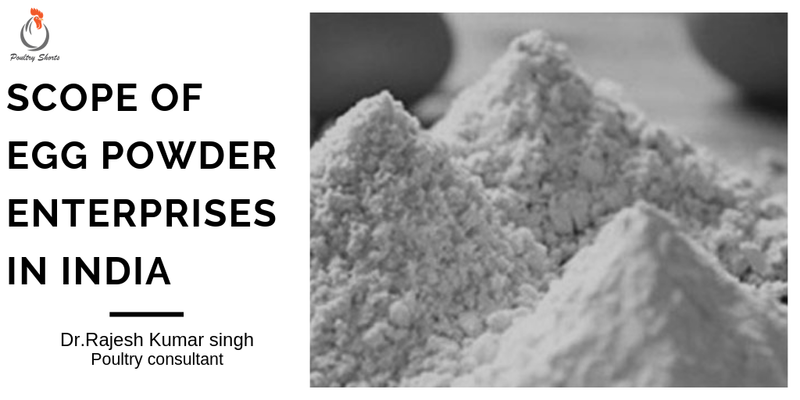 An increasing number of nuclear families in India, particularly in urban and semi-urban areas, and an increasing number of working women in the country has increased demand for Egg powder. India, the world’s third largest producer of eggs, currently exports table eggs, egg white powder and egg yolk powder to about 30 countries, and had been in talks with the government of Russia to facilitate their export. 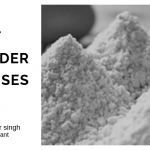 Indian egg powder is comparatively cheaper than the product made in other countries. There are five egg powder manufacturing plants in the country with a total capacity of 15000 tons per annum. A major market promotion effort is needed to encourage the use of egg powder in Bakery products. In India look for more diversified and value-added products from processed eggs. Whole egg powder (WEP) is used in classical food applications where rising qualities are not essential, such as crackers, cookies and pasta. Egg yolk powder (EYP) is used as a substitute for fresh egg yolk to obtain colour, texture, and emulsion capacity. Egg yolk powder is most frequently used in mayonnaise, dressings, sauces and croissants. Egg albumen powders (EAP) is used in a range of items from fish, meat, and potato preparations to bakery and pastry products. Egg processing : Manufacture of dried egg powder starts with breaking of eggs and removing egg-shells. After removal of shells, the mixture is filtered and stored in storage tanks at about 4o C and then it is taken to tabular heater, wherein it is dried at about 65o C for 8 to 10 minutes and it is filtered and passed to high pressure spray drier with the help of high pressure pump. The material which comes out of high pressure spray drier is not only in dried form but also in powder form, which is then packed in polylined boxes. The average yield is around 80%. Global market overview : Asia dominates the global egg production, accounting for around 60% of the total, followed by Americas and Europe. Asia encompasses five of the top 10 national producers of eggs, with India and Japan at third and fourth positions in the world ranking. Country wise, China leads the egg production globally, followed by the US and India. However, China’s growth rate was slow as compared to the growth achieved by other Asian economies – India, Indonesia, Pakistan and Malaysia. Around the world, consumption of eggs is also increasing. This increase is particularly notable in developing countries where changing diets have people consuming a greater number of calories from protein sources like poultry meat and eggs. Indian market overview : Egg is a highly nutritious product. Eggs are rich in protein, vitamins and minerals. The poultry sector has made tremendous progress in the last decade. 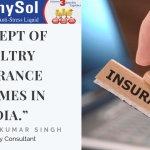 It has grown into an organized and highly productive industry. Fresh eggs have a very limited shelf life. To improve the shelf life and for ease of storage and usage egg powder is very convenient. It is quite stable at room temperature and can be stored over longer period. The manufacture of egg powder is an important segment of egg consumption. 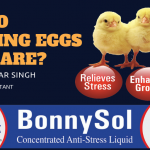 Egg powder is one of the most common products in poultry industry in the country. India’s egg products industry relies almost completely on exports of egg powder, with the main markets being Europe and Japan. Andhra Pradesh and Tamil Nadu account for almost half of the country’s egg production. The largest producer of the egg is Andhra Pradesh (Including Telangana) which produces 30.5% of the total egg production in the country. Tamil Nadu ranks second, producing 18.9% of the egg production. Maharashtra, West Bengal and Haryana hold the next three ranks producing 6.5%, 6.4% and 5.8% of the total production respectively. Gujarat ranks 11th in the country in terms of egg production, contributing about 2.1%. India – 2nd largest poultry market in the world : World’s 2nd largest poultry market with an annual growth of more than 14% Poultry – the most organised sector in animal agriculture – valued at about INR 350 billion 3rd largest egg producer after China and USA, producing around 3.6% of global egg production Annual growth rate of egg production between 5-8% Lowest cost egg producer in the world – an estimated production cost of INR 1.1 per egg makes it much lower than all the other major producers . ACCEPTABILITY & PERCEPTION IN INDIA FOR EGG POWDER : Broadly speaking eggs are now considered as a vegetarian diet. It is consumed by both the nonvegetarians as well as moderate vegetarians. Eggs find their adoption in regular diet because of its nutritional qualities. Transportation and storage of fresh eggs is problematic. The conversion of eggs into dried egg powder takes care of both these drawbacks and is economical also. Egg powder has a major market in Defense organizations, Bakeries, Government canteens and in such areas where transportation is difficult such as hills. Manufacturing Process & Know-How: The process of manufacturing is simple and standardized. Manufacture of dried egg powder starts with the breaking of egg and removing of shells. The mixture is then filtered and stored in tanks at about 4* C. The mixture is then taken to tubular heater system wherein it is dried at about 65*C for 8 t0 10 minutes and it is filtered and passed to the high-pressure spray drier with the help of a high-pressure pump. The resultant material is dry and in the form of powder. This is then packed in poly-lined boxes. The average yield is around 80%. Know how is available with Central Government research Laboratories CFTRI Mysore. The machinery is all indigenously available. The production capacity envisaged is 240 MTA per year 300 days and two shifts basis working. • High Pressure Pump – 2 nos. • High Pressure Spray Drier – 1 no. The total cost of machinery is estimated to be Rs.65.00 lakhs. The unit will also require miscellaneous assets such as furniture, fixtures, storage facilities etc. the total cost of these is estimated to be Rs. 10.00 lakhs. The total requirement of power shall be 75 HP, the unit will need 2500 lits of water daily. The basic raw material for the unit is fresh eggs and the daily requirement is 20,000 nos. Packing material like poly-lined boxes, polythene sheets; box strapping’s etc shall also be required. On average, the raw material cost has been estimated to be Rs.67.20 lakhs at rated capacity. At 65% capacity in 1st year, the cost works out to Rs 43.68 lakhs. Land and Building:For smooth operation of the unit, it will require 800 sq. mts of open land and a built up area of 500 sq. mts. The total cost of land and building is estimated at Rs. 14.90 lakhs. Manpower: For smooth functioning of the unit the requirement of manpower is expected to be around 18 persons. The annual salary bill is estimated to be around Rs.5.58 lakhs. ← Previous postWhy Do Hatching Eggs Need Care?